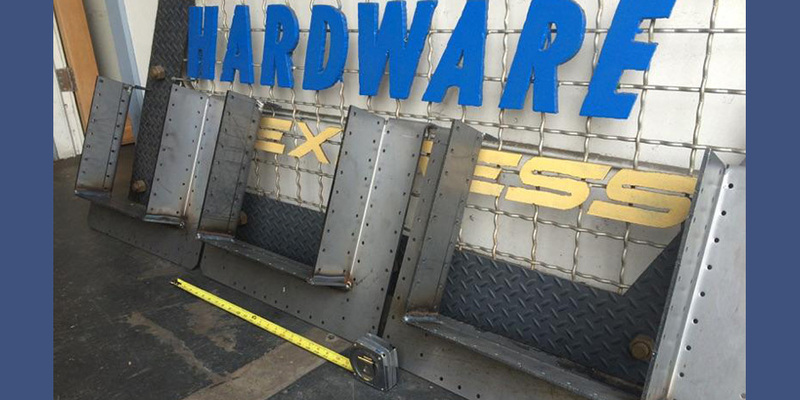 Custom Fabrication to your specifications. 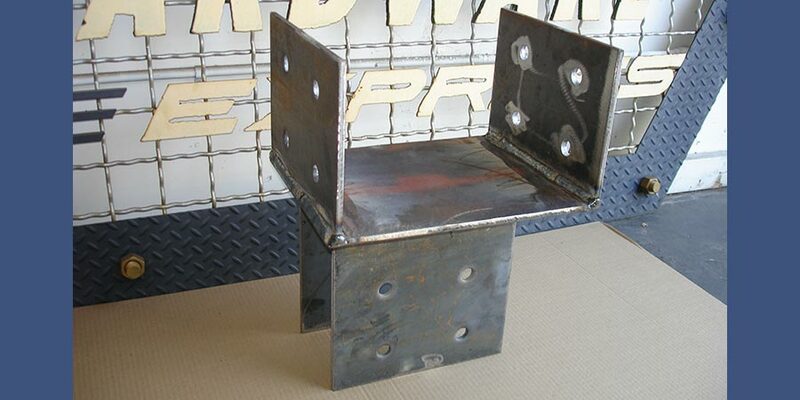 To contact us regarding questions or ordering Custom Fabrication, please use or Contact Form. 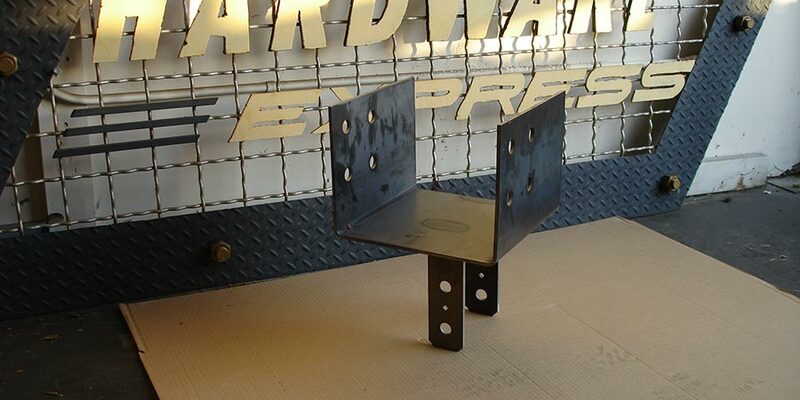 We manufactured this custom K-rail attachment to deter sitting and skateboarding. 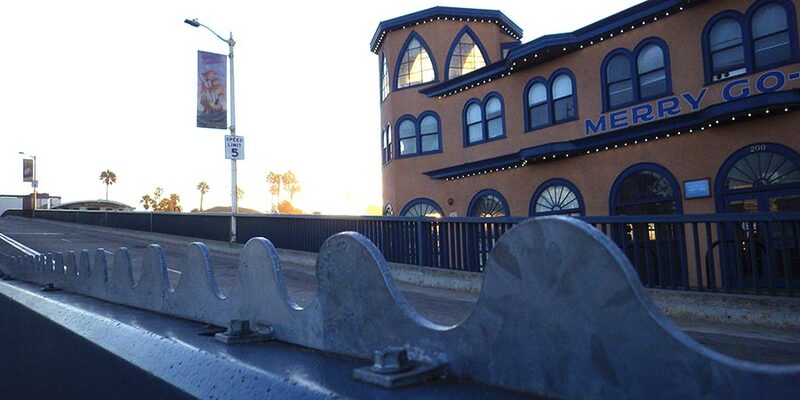 Here is a view of the K-rail with the historic Merry-Go-Round in the background. 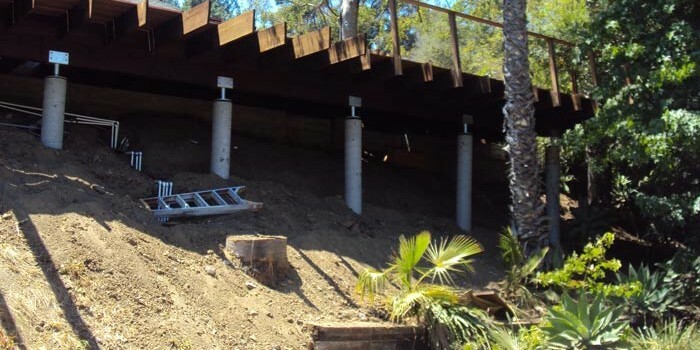 Custom pile-caps for another Malibu project. 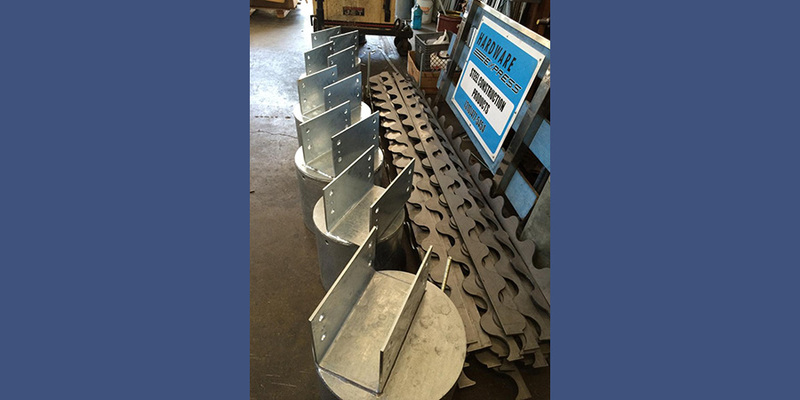 Each of the six piles these will be attached to, is a different diameter and the beam saddles are offset to the customer’s specifications. 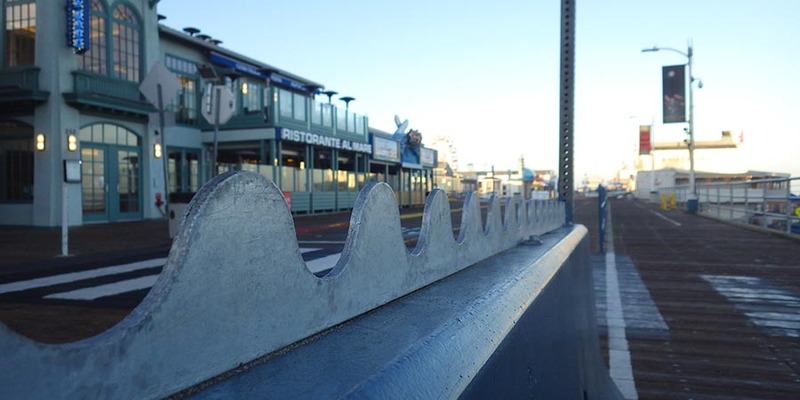 Galvanized pile-caps next to more of the K-rail attachments that went to the Santa Monica pier project. 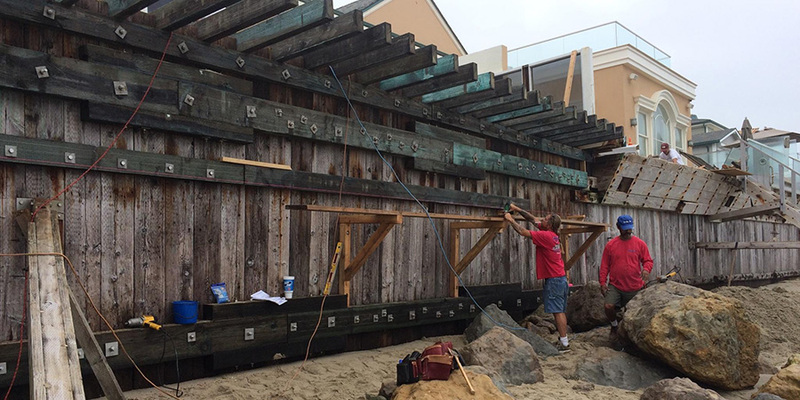 Work in Malibu on a sea wall using 316 stainless steel bolts and custom washers. 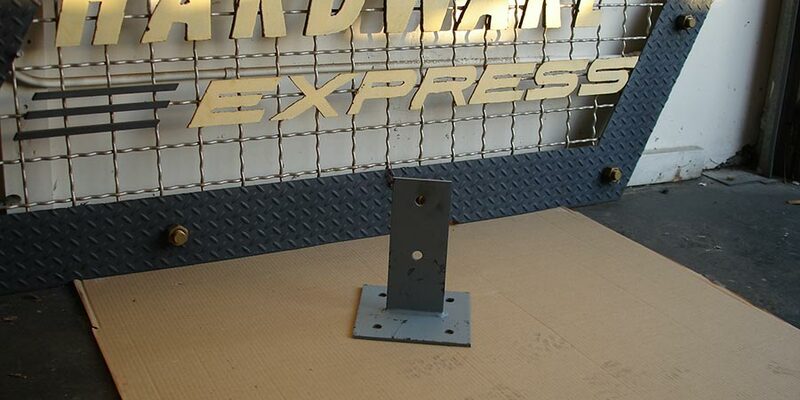 These custom tie-rod assemblies started out as 1” x 1” square bar stock. 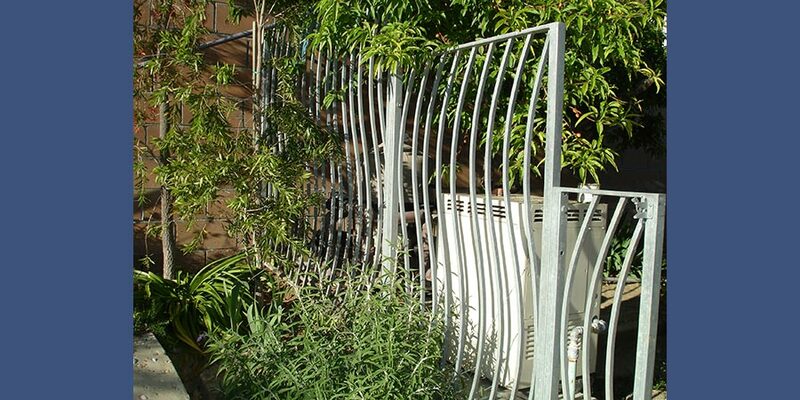 Each length of bar had to be twisted then the ends were turned round on a lathe, then threaded. 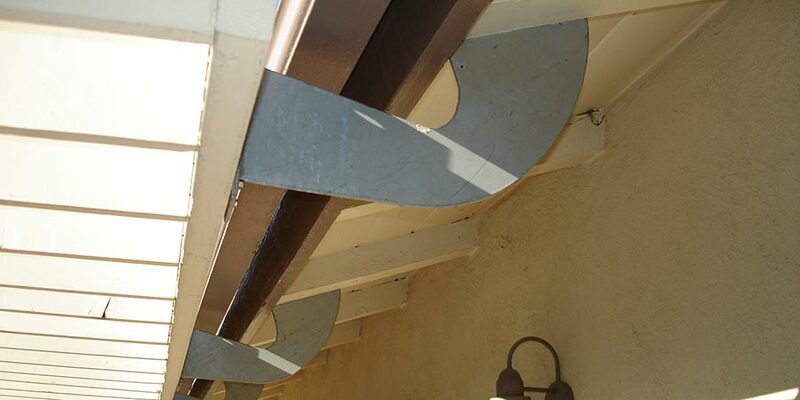 The owners of this Belair home opted for large turnbuckles to accent the tie-rods. 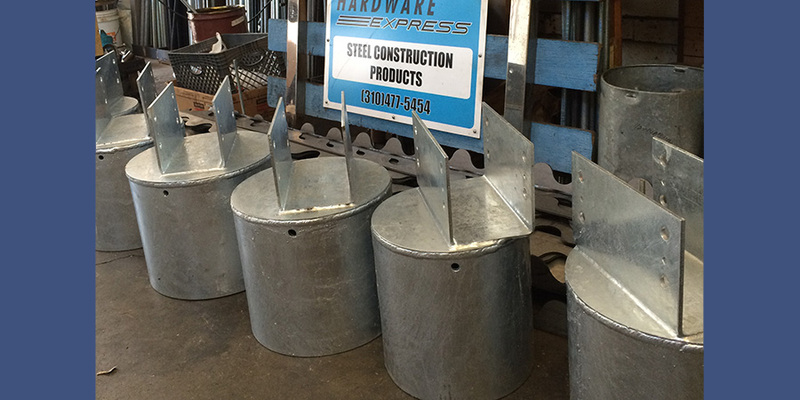 These hangers will be fastened with stainless steel SDS screws, after galvanizing. 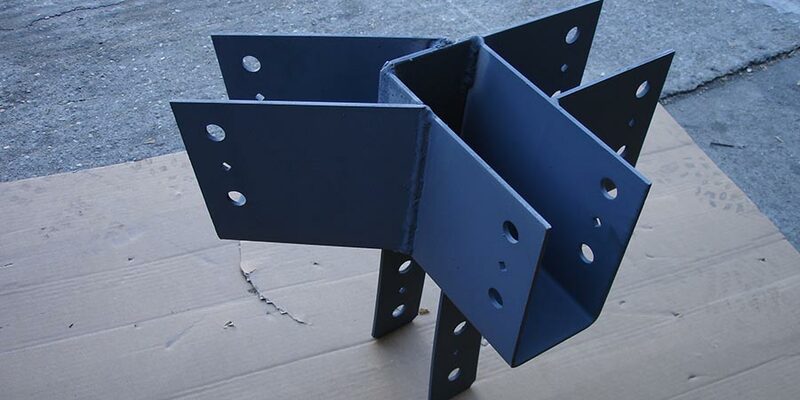 We manufactured twelve of these massive beam hangers to the engineer’s specifications. 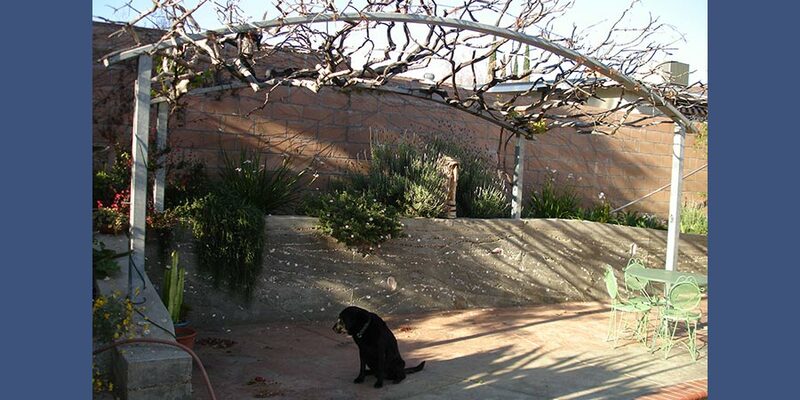 Custom made arbor detail using galvanized square tube steel columns and rectangular tube steel, rolled to a custom radius. 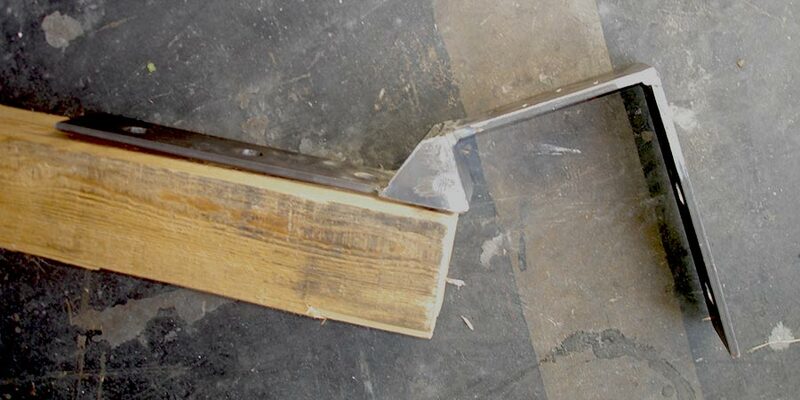 Simpson Strong Tie HW412 skewed at a very accute angle and galvanized. 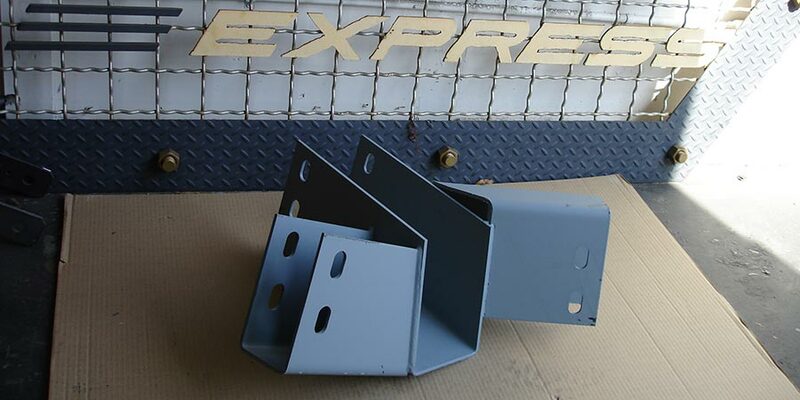 Galvanized tube steel, sloped Simpson column cap. 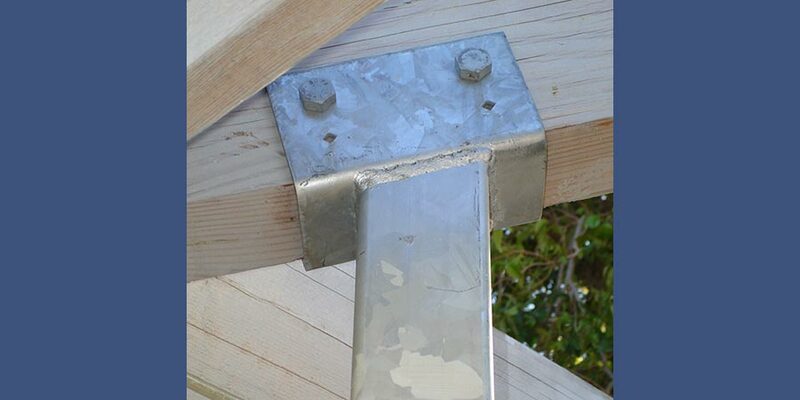 Special galvanized shaped bracket for trellis detail. 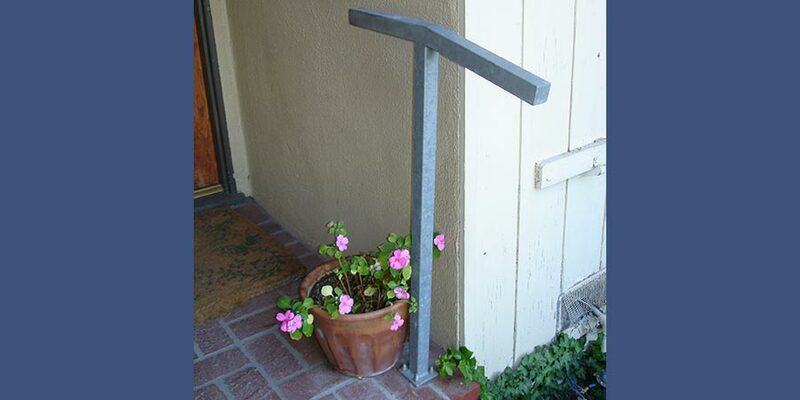 Custom galvanized pipe column for a project in Belair. 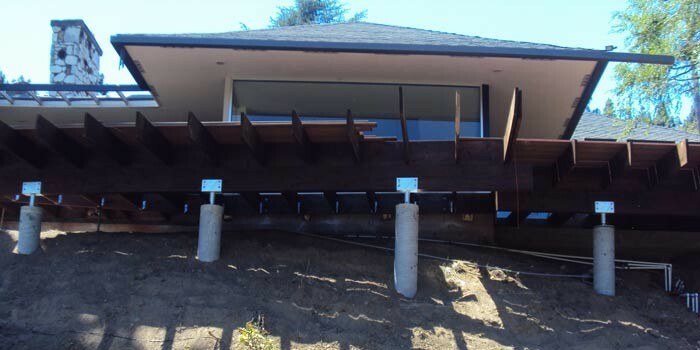 Front view of the custom Simpson buckets holding the girders in this deck installation. 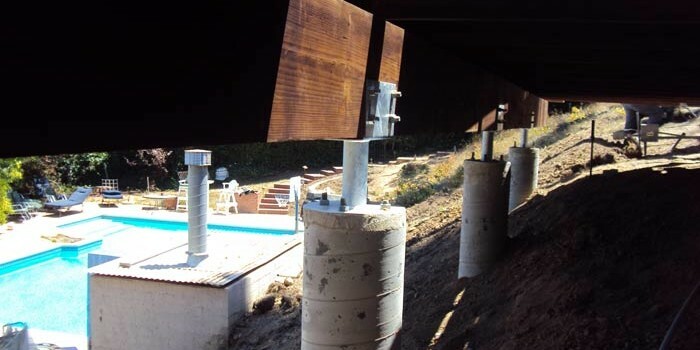 Another view of the custom Simpson buckets holding the girders in this deck installation. 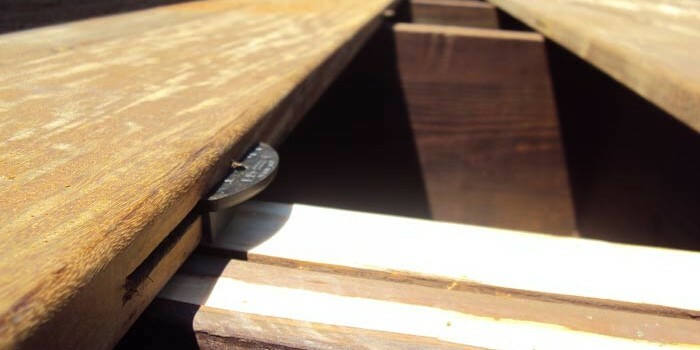 EB-TY deck clips shown & being installed in this IPE deck. 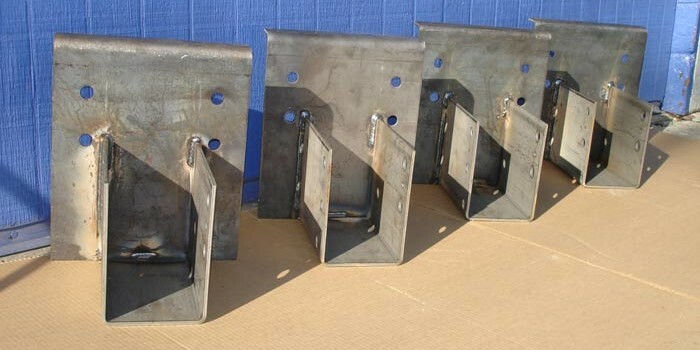 Custom top flange beam hangers for 5 1/4 glulam beams. 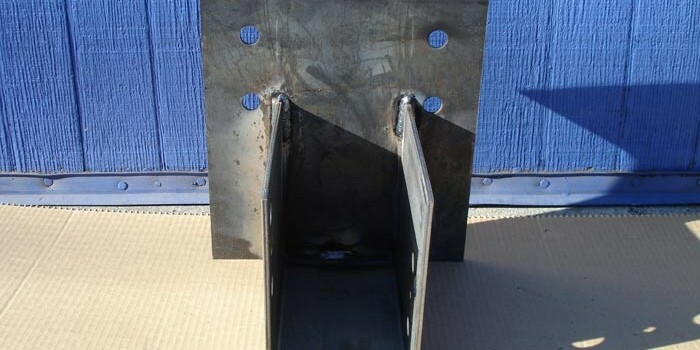 Front view of one of the heavy duty bolt-on beam hangers. 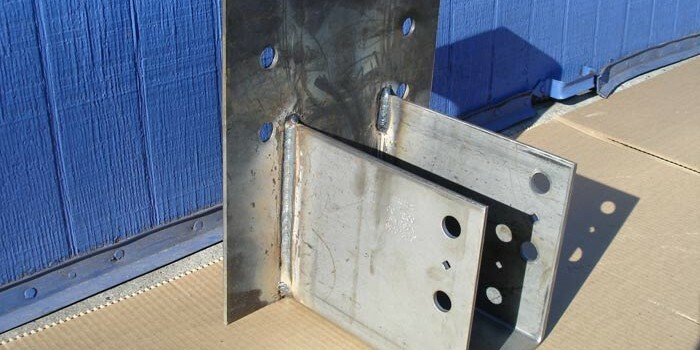 Side view of the custom beam hangers showing the quality welding. 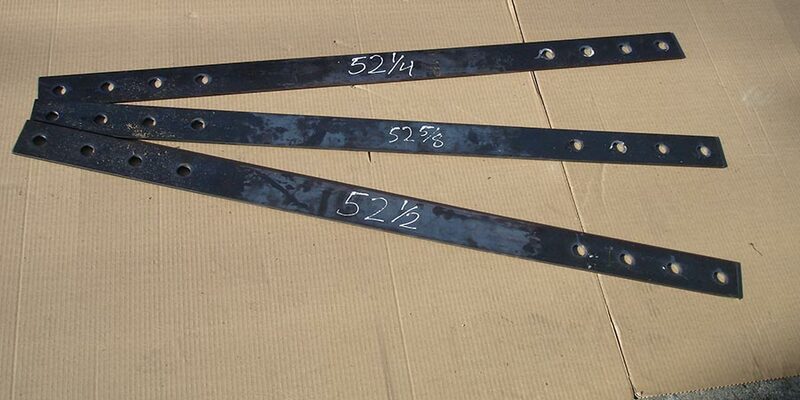 Custom structural Heavy Duty steel straps with custom length. Custom ridge to hip connectors, built to custom specifications. 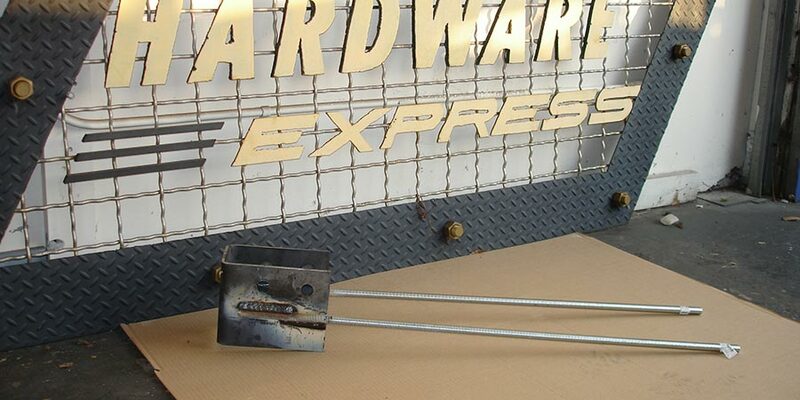 Custom made hip and valley heavy duty connectors. 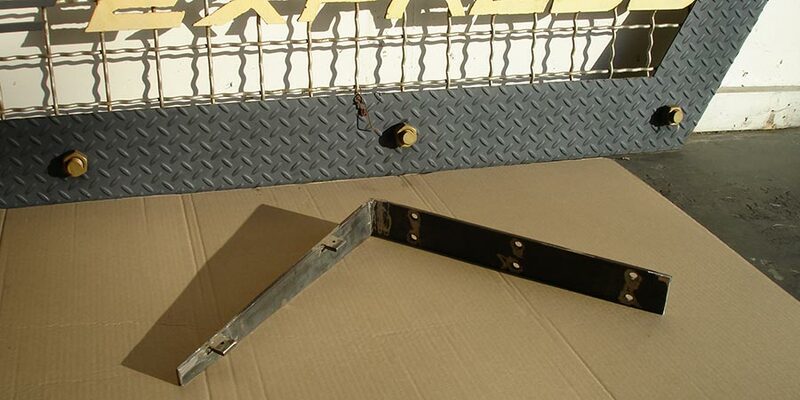 T strap made at a custom angle. 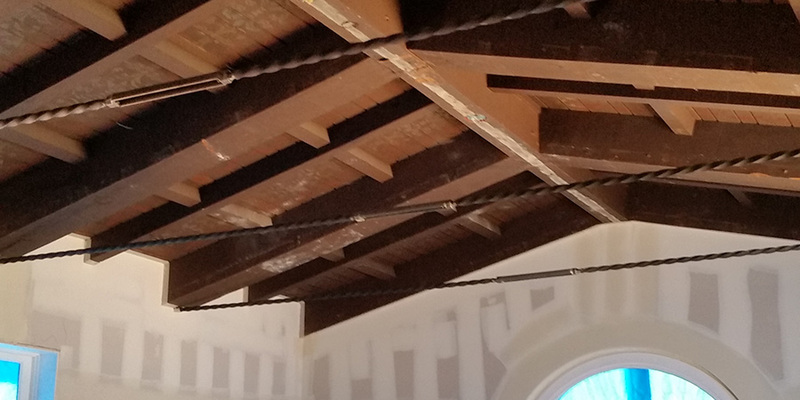 Custom column cap with a hip beam and a common rafter connection. 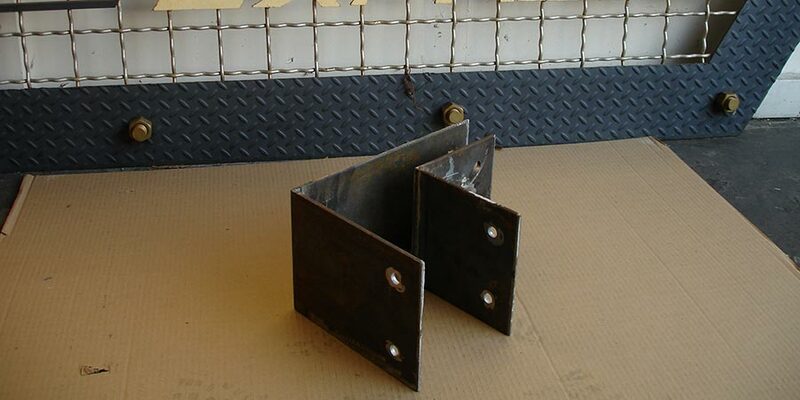 Tube steel designed to be mounted with Simpson SDS screws. 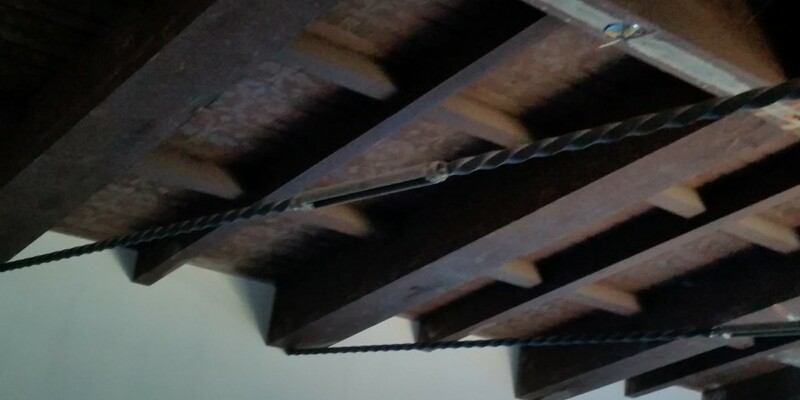 Custom beam support to be suspended using 3/4" all thread rod and a Simpson Strong-Tie column cap. 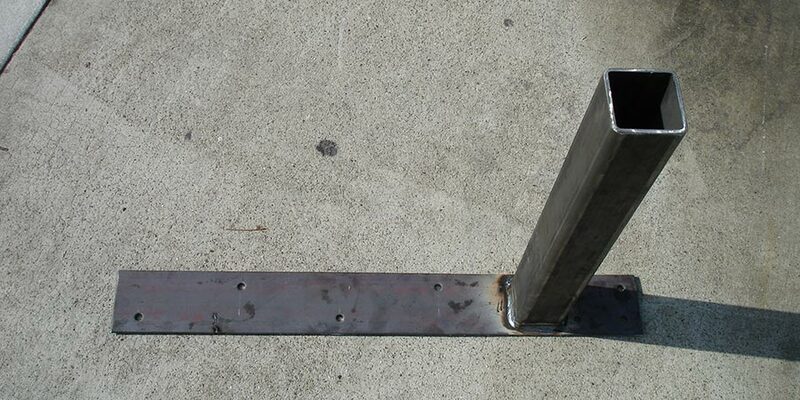 Custom spline post base to be anchored on existing concrete with Simpson Strong-Tie Titen Anchors. Special order Simpson column cap. 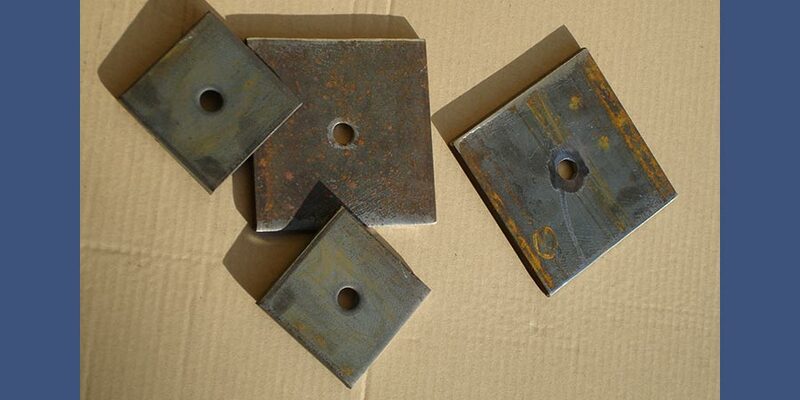 Heavy duty custom angles used to tie two members of different size together. 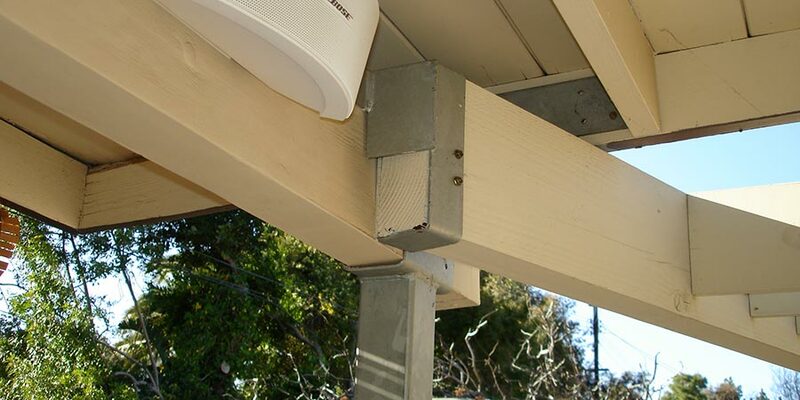 Custom beam connection at compound angles. Note the slotted holes and the inverted column cap. 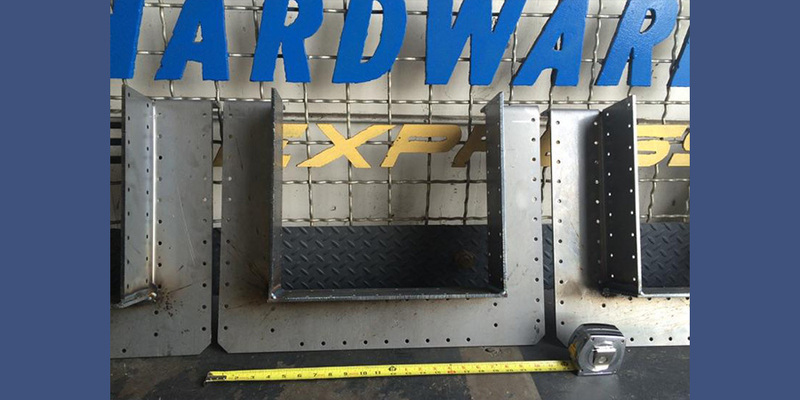 Custom "floating" shelf bracket. Note the tapered arm with the mounting tabs. 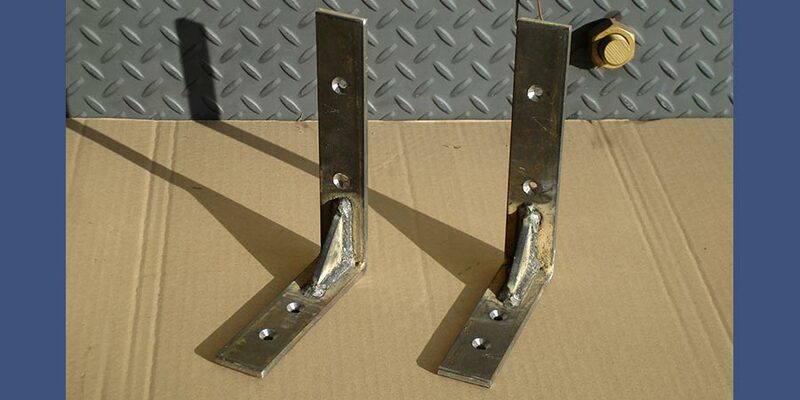 Custom angle brackets with countersunk mounting holes, for flathead screws to ensure flush mount. 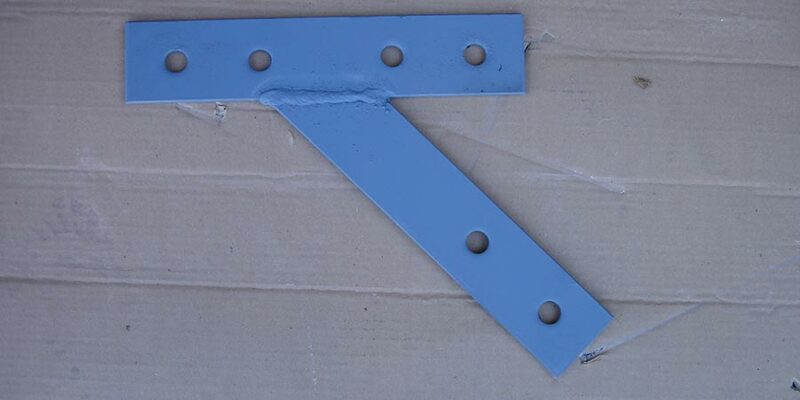 These brackets also have gussets, for added strength. 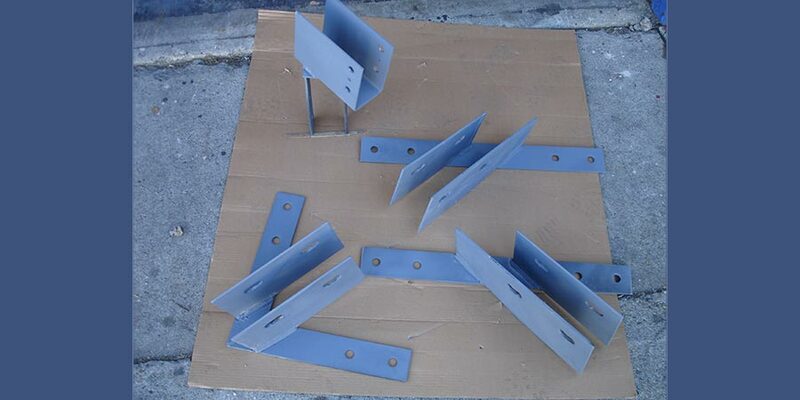 Custom plate washers made to order and stock sizes per Los Angeles DBS code. 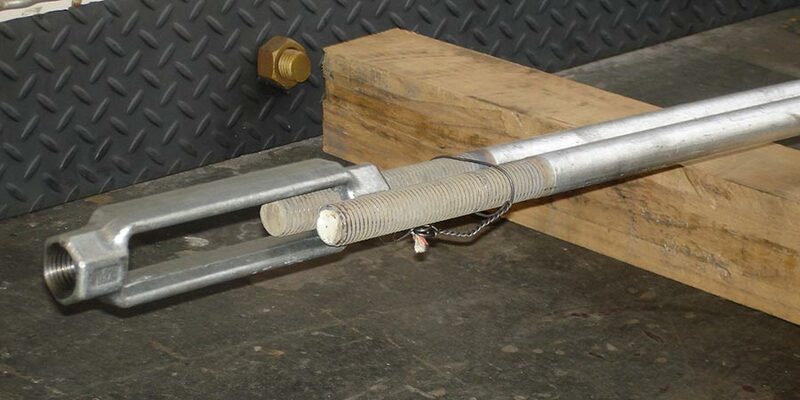 Custom heavy duty beam connector. 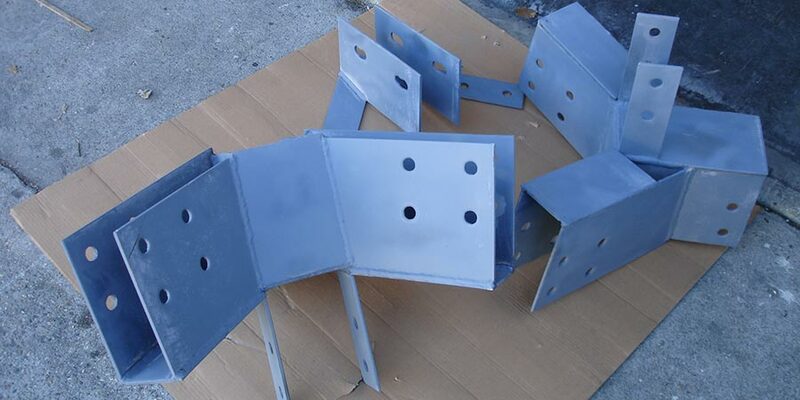 Custom made tierod assembly with turn buckle and clevis, galvanized or plain. Odd bracket for a very specific condition.